400 North Ervay is one the most architecturally and historically significant buildings in the Texas. 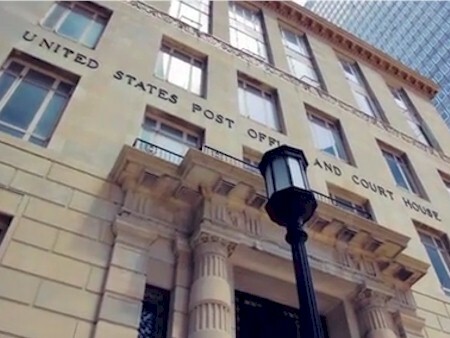 Originally constructed to house every branch of the Federal government, it was home to the US Post Office, the federal courts, the FBI as well as other government offices and agencies. The building also caters weddings and parties and I have been to a very nice events there. Lobby staff: M-F 9:30-5:30, S-S 11-3. Other Amenities: Rooftop terrace with garden and grills. Executive lounge including private work space and conference room. Theater. Residents Lounge with three 70” TV’s, galley kitchen, poker and billiards tables, and Wii/Playstation gaming area. Pet area.